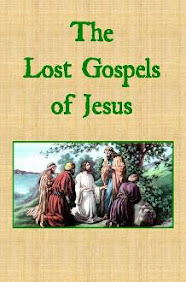 A modern English translation of ancient Gospel texts that portray the lost teachings of Jesus, including the Gospel of Thomas, the Gospel of Mary, the Gospel of the Savior, the Didache and others. 6:1 Once, as he was traveling through some fields of grain on a Sabbath, his disciples picked some of the heads of grain and rubbed them in their hands and ate the grain. 6:3 Then Jesus answered them and said, “Haven’t you read what David did when he and his followers1 were hungry? 6:4 How he went into the house of God and ate the offering bread that was only permitted to be eaten by the priests – and shared some with his followers. 6:6 On another Sabbath he went into the synagogue and was teaching and a man with a withered right hand. 6:7 The pharisees and scribes watched him closely to see if he healed on the Sabbath so they might find a reason to accuse him. 6:8 Yet he understood their thoughts and said to the man with the withered hand, “Get up and come forward.” He got up and came forward. 6:10 He looked around at them and said to the man, “Reach out your hand.” When he did this, his hand was restored. 6:11 Yet they were full of rage and discussed among themselves what they should do with Jesus. 6:12 At that time he departed for the mountain to pray, and he spent the night worshipping God. 6:16 Judas son of James; and Judas Iscariot – who became a traitor. 6:18 to hear him and be cured of their diseases. And those who were troubled with unclean spirits were healed. 6:19 Everyone was trying to touch him for the power that came from him to cure them. 6:20 Looking towards his disciples, he said: “Blessed are you who are humble, for the sanctuary of God is yours. 6:21 Blessed are you who empty, for you will become full. Blessed are you who weep now, for you will laugh. 6:22 Blessed are you when people despise you, ostracize you, insult you and disparage your name as wicked for the sake of the Servant of Humanity. 6:23 Salute that time and leap for joy because, you see, your rewards are in the spiritual realm – for this is the same way their fathers treated the Prophets. 6:24 But woe to you who are materialistic – because you will receive your consolation in full. 6:25 Woe to you who are satiated now, because you will become empty. Woe to you who laugh now because you will mourn and weep. 6:26 Woe to you when everyone speaks highly of you, because their fathers treated the false prophets in the same way. 6:28 bless those who curse you and pray for those who mistreat you. 6:29 If someone smacks you on the cheek offer them the other one as well. And should someone steal your cloak, don’t withhold your tunic from them. 6:30 Give to everyone who asks of you, and don't demand back what others take of yours. 6:31 Treat others the same way you want them to treat you. 6:32 If you only love those who love you, where is your benefit? Even the wicked love those who love them. 6:33 If you only treat well those who treat you well, where is your benefit? Even the wicked do that. 6:34 If you lend only to those from whom you expect to receive, where is your benefit? Even the wicked lend to the wicked in order to receive the same in return. 6:35 Instead, love your enemies and treat them well and lend without the expectation of return and you will have many rewards and you will be servants of the Most High, for He is kind to the ungrateful and the wicked. 6:36 Be merciful just as your Creator is merciful. 6:37 Don’t judge and you’ll not be judged. Don’t condemn and you won’t be condemned. Forgive and you will be forgiven. 6:39 Then he told them this analogy: “A blind man cannot lead a blind man, can he? Won’t they both fall into a ditch? 6:40 A student is not better than his teacher, but upon being fully trained, every student can be like his teacher. 6:41 Why focus on the piece of straw in your brother’s eye but not notice the log in your own eye? 6:42 How can you say to your brother, ‘Brother, let me take out the piece of straw in your eye,’ when you do not see the wood in your eye. Don’t be a hypocrite: First remove the wood from your own eye and then you will see clearly enough to remove the piece of straw in your brother’s eye. 6:43 For a magnificent tree doesn’t produce bad fruit. Likewise, a rotten tree won’t produce good fruit. 6:44 For every tree is known by its fruit. One doesn’t gather figs from thorn bushes. Nor do they pick grapes from thorn bushes. 6:45 The honorable person – out of the good treasure within his heart – brings forth goodness. And the wicked person – out of the wicked treasure within – brings forth wickedness. For one's mouth speaks from what fills his heart. 6:46 Why call me ‘master, master’ but not do what I say? 6:47 Everyone who approaches me and hears my teachings and acts upon them – I will show you who He is like. 6:48 Such a person is like a man building a house who dug deep and laid a foundation upon a rock. When a flood came, the torrent smashed against the house but didn’t shake it because it had been well built. 6:49 But one who hears and does not act upon it is like a man who built a house on the ground without any foundation. When the torrent smashed against it, it immediately collapsed and the damage to the house was great. 1. Verse 6:3. The Greek word μετά (meta) refers to “with, after, behind.” In this context the verse indicates David’s followers – who followed “behind” him. Copyright 2019 Actual Truth Publishing. You may copy and share or republish these texts without modification, as long as you provide the link to this page and reference Lost Gospels of Jesus/Actual Truth Publishing. Otherwise, all rights are reserved.